Leading up to the main event, racers participated in a Gambler’s, Bogey, Golf Cart, and Big Wheels races and “best of” awards. John Myers (Capitol Raceway) defeated Mickey Nelson (Maryland International Raceway) .001 reaction time with a 6.23 elapsed time at 109.85 mph on a 6.21 dial-in on a 109.85 mph run. Nelson had a .010 reaction time and went down the track with a 4.80-second pass at 140.69 mph. 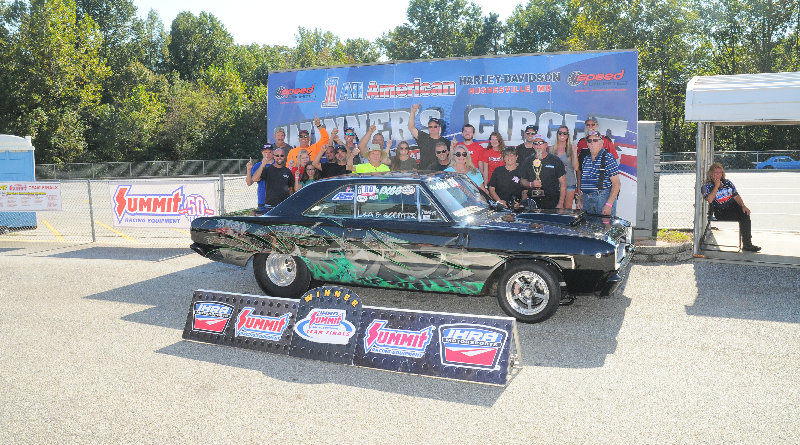 Drag Champ is your source for IHRA sportsman drag racing news and race results, visit Drag Champ daily for all your bracket racing news online.